Queensway House was built by the Hatfield Development Corporation as part of the development of Hatfield as one of the country’s post-war New Towns. It was formally opened on 19th September 1962 by the Rt Hon. Keith Joseph MP who, at the time, was Minister of Housing and Local Government in the MacMillan Government and who later served under Margaret Thatcher. The Hatfield Development Corporation had been under great pressure to provide a significant density of housing, even in the town centre itself. 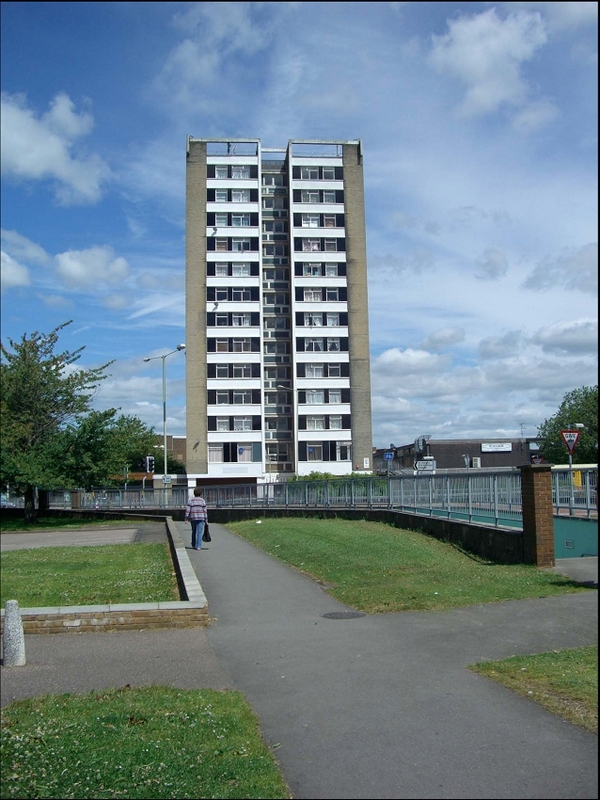 Part of their solution was Queensway House, a 13-storey tower block comprising 66 flats available for monthly rent. 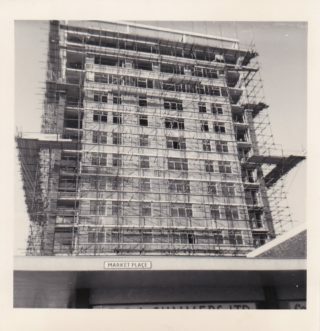 According to the records at County Hall in Hertford, Queensway House, “for the most part, catered for housing demand for single persons and childless couples of the middle income group”. The building had shops at ground level, with Hatfield Library adjoining. When my wife and I first moved to Hatfield, we were somewhat surprised on first seeing Queensway House. It looked run down and out of character with the surrounding architecture. We wondered who had allowed it to be built. 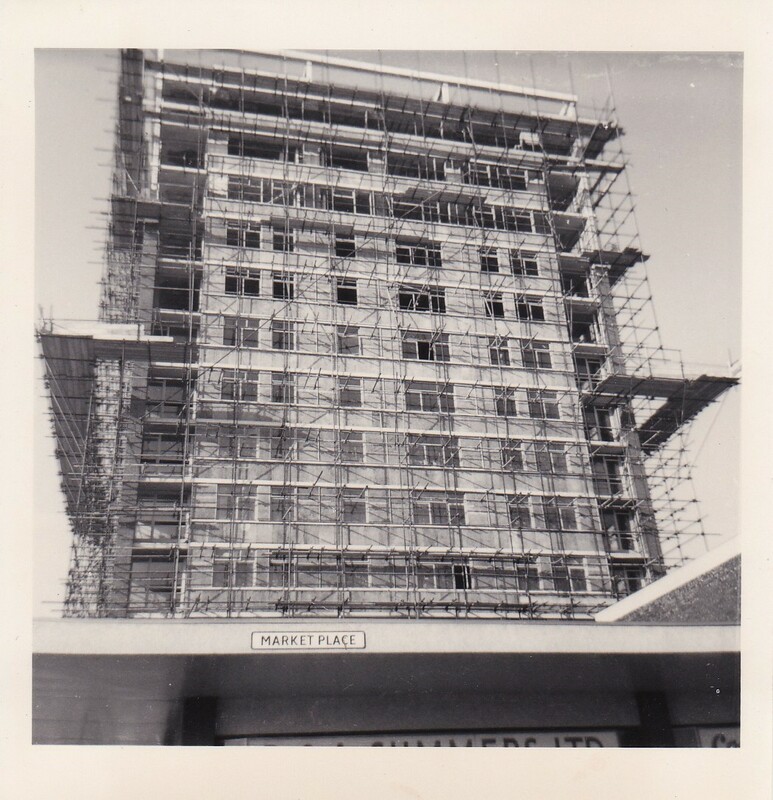 But, later, while going through the archive of the Hatfield Development Corporation at County Hall, it became clear that Queensway House was originally the pride and joy of Hatfield New Town. So much so that a Minister of the Crown was invited to Hatfield to open it. The building underwent a complete, and much welcomed, external refurbishment in 2012. At the time of writing, the first floor is the home of Welwyn Hatfield Citizens Advice Bureau (CAB). This page was added on 17/01/2017.